Harley Davidson FLSTN Heritage Softail Special 1990 1991 1992 1993 1994 1995 1996 1997 1998 1999 Workshop Service Manual for Repair. This PDF service manual contains 651 pages. 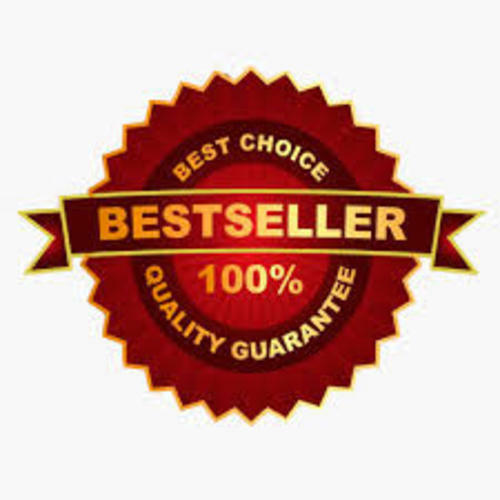 Just buy this Harley Davidson FLSTN Heritage Softail Special 1990 1991 1992 1993 1994 1995 1996 1997 1998 1999 Service repair manual now and you will get you job done immediately because in just a minute youll have your manual downloaded. This Harley Davidson FLSTN Heritage Softail Special 1990 1991 1992 1993 1994 1995 1996 1997 1998 1999 service manual provides data, characteristics, instructions and methodology to perform repair interventions on the vehicle and its components. This manual includes special notes, important points, service data, precautions, etc. that are needed for the maintenance, adjustments, service, removal and installation of vehicle components for Harley Davidson FLSTN Heritage Softail Special 1990 1991 1992 1993 1994 1995 1996 1997 1998 1999. The most detailed, comprehensive step by step procedures, explanations, and pictorial diagrams from bumper to bumper you will ever see for Harley Davidson FLSTN Heritage Softail Special 1990 1991 1992 1993 1994 1995 1996 1997 1998 1999. Harley Davidson FLSTN Heritage Softail Special 1990 1991 1992 1993 1994 1995 1996 1997 1998 1999 Service Repair Manual meets all your information needs to repair or make some adjustments to your Harley Davidson FLSTN Heritage Softail Special 1990 1991 1992 1993 1994 1995 1996 1997 1998 1999 Service Repair Manual. This manual is intended as a handy, easy to read reference book for the mechanics and DIY persons. Comprehensive explanations of all installation, removal, disassembly, assembly, repair and check procedures are laid out with the individual steps in sequential order. Detailed illustrations, exploded diagrams, drawings and photos guide you through every service repair procedure for Harley Davidson FLSTN Heritage Softail Special 1990 1991 1992 1993 1994 1995 1996 1997 1998 1999 Service Repair Manual. Adjustment and repair operations include reference to Service tool numbers and the associated illustration depicts the tool for Harley Davidson FLSTN Heritage Softail Special 1990 1991 1992 1993 1994 1995 1996 1997 1998 1999. Where usage is not obvious the tool is shown in use. This Harley Davidson FLSTN Heritage Softail Special 1990 1991 1992 1993 1994 1995 1996 1997 1998 1999 service manual can be viewed on any computer, as well as zoomed and printed. All service and repair instructions included for Harley Davidson FLSTN Heritage Softail Special 1990 1991 1992 1993 1994 1995 1996 1997 1998 1999. Information in this manual for Harley Davidson FLSTN Heritage Softail Special 1990 1991 1992 1993 1994 1995 1996 1997 1998 1999 is divided into groups. These groups contain general information, diagnosis, testing, adjustments, removal, installation, disassembly, and assembly procedures for the systems and components. Appropiate service methods and correct repair procedures are esential for the safe, reliabe operation of all motor vehicles as well as the personal safety of the individual carrying out the work. The illustrations in this manual are used to highlight the fundamental principles and procedures of basic interventions. They may not show exactly the Harley Davidson FLSTN Heritage Softail Special 1990 1991 1992 1993 1994 1995 1996 1997 1998 1999 in your possession. Adjustment and repair operations also include reference to wear limits for Harley Davidson FLSTN Heritage Softail Special 1990 1991 1992 1993 1994 1995 1996 1997 1998 1999. Relevant data, useful assembly details all in this SERVICE MANUAL for Harley Davidson FLSTN Heritage Softail Special 1990 1991 1992 1993 1994 1995 1996 1997 1998 1999. Please peruse and utilize this manual for Harley Davidson FLSTN Heritage Softail Special 1990 1991 1992 1993 1994 1995 1996 1997 1998 1999 fully to ensurea complete repair work for satisfying you or your customers by keeping their vehicle in optimum condition. This Harley Davidson FLSTN Heritage Softail Special 1990 1991 1992 1993 1994 1995 1996 1997 1998 1999 book outlines procedures for servicing and repairing vehicles using safe, effective methods. The procedures contain many NOTES, CAUTIONS and WARNINGS which should be followed along with standard safety procedures to eliminate the possibility of personal injury or improper service which could damage the vehicle or compromise its safety. Do not allow problems to develop. Investigate unusual noises and changes in the riding characteristics of the Harley Davidson FLSTN Heritage Softail Special 1990 1991 1992 1993 1994 1995 1996 1997 1998 1999. Rectify all problems as soon as possible (immediately if safety related). Use only genuine Harley Davidson FLSTN Heritage Softail Special 1990 1991 1992 1993 1994 1995 1996 1997 1998 1999 parts as listed in the parts catalogue. Use only approved lubricants, as specified, in the manual of the Harley Davidson FLSTN Heritage Softail Special 1990 1991 1992 1993 1994 1995 1996 1997 1998 1999. This manual for Harley Davidson FLSTN Heritage Softail Special 1990 1991 1992 1993 1994 1995 1996 1997 1998 1999 has been issued to provide you with technical information regarding the design, function, disassembly, adjusting work and troubleshooting on the components and model of the Harley Davidson FLSTN Heritage Softail Special 1990 1991 1992 1993 1994 1995 1996 1997 1998 1999. The descriptions are brief but precise and are supported by photographs, notes, drawings and schematics, as well as exploded and sectional drawings. All this information is intended to simplify any necessary repair work which can be performed on Harley Davidson FLSTN Heritage Softail Special 1990 1991 1992 1993 1994 1995 1996 1997 1998 1999. For all maintenance and repair work on Harley Davidson FLSTN Heritage Softail Special 1990 1991 1992 1993 1994 1995 1996 1997 1998 1999, all accident prevention guidelines must be strictly observed. To perform all repairs listed in this manual, a complete set of standard tools, as well as the special tools and fixtures shown and listed are necessary. This Harley Davidson FLSTN Heritage Softail Special 1990 1991 1992 1993 1994 1995 1996 1997 1998 1999 Service Service Repair Manual QUALITY manual is 100 percents COMPLETE and INTACT, no MISSING/CORRUPT pages/sections to freak you out! Harley Davidson FLSTN Heritage Softail Special 1990 1991 1992 1993 1994 1995 1996 1997 1998 1999 Service service manual. Harley Davidson FLSTN Heritage Softail Special 1990 1991 1992 1993 1994 1995 1996 1997 1998 1999 Service repair manual. Harley Davidson FLSTN Heritage Softail Special 1990 1991 1992 1993 1994 1995 1996 1997 1998 1999 Service workshop manual. Harley Davidson FLSTN Heritage Softail Special 1990 1991 1992 1993 1994 1995 1996 1997 1998 1999 Service shop manual. This manual for Harley Davidson FLSTN Heritage Softail Special 1990 1991 1992 1993 1994 1995 1996 1997 1998 1999 is designed primarily for use by trained technicians in a properly equipped workshop. However, it contains enough detail and basic information to make it useful to the owner who desires to perform his own basic maintenance and repair work. The work can only be carried out if the owner has the necessary hand and special service tools to complete the job. SPECIFICATIONS for Harley Davidson FLSTN Heritage Softail Special 1990 1991 1992 1993 1994 1995 1996 1997 1998 1999. VEHICLE IDENTIFICATION NUMBER (V.I.N.) for Harley Davidson FLSTN Heritage Softail Special 1990 1991 1992 1993 1994 1995 1996 1997 1998 1999. WHEELS for Harley Davidson FLSTN Heritage Softail Special 1990 1991 1992 1993 1994 1995 1996 1997 1998 1999. FRONT WHEEL for Harley Davidson FLSTN Heritage Softail Special 1990 1991 1992 1993 1994 1995 1996 1997 1998 1999. REAR WHEEL for Harley Davidson FLSTN Heritage Softail Special 1990 1991 1992 1993 1994 1995 1996 1997 1998 1999. TIRES for Harley Davidson FLSTN Heritage Softail Special 1990 1991 1992 1993 1994 1995 1996 1997 1998 1999. FRONT BRAKE MASTER CYLINDER AND HAND LEVER for Harley Davidson FLSTN Heritage Softail Special 1990 1991 1992 1993 1994 1995 1996 1997 1998 1999. FRONT BRAKE LINE for Harley Davidson FLSTN Heritage Softail Special 1990 1991 1992 1993 1994 1995 1996 1997 1998 1999. FRONT BRAKE CALIPER for Harley Davidson FLSTN Heritage Softail Special 1990 1991 1992 1993 1994 1995 1996 1997 1998 1999. BRAKE PEDAL for Harley Davidson FLSTN Heritage Softail Special 1990 1991 1992 1993 1994 1995 1996 1997 1998 1999. REAR BRAKE MASTER CYLINDER for Harley Davidson FLSTN Heritage Softail Special 1990 1991 1992 1993 1994 1995 1996 1997 1998 1999. REAR BRAKE LINE for Harley Davidson FLSTN Heritage Softail Special 1990 1991 1992 1993 1994 1995 1996 1997 1998 1999. REAR BRAKE CALIPER for Harley Davidson FLSTN Heritage Softail Special 1990 1991 1992 1993 1994 1995 1996 1997 1998 1999. FENDERS for Harley Davidson FLSTN Heritage Softail Special 1990 1991 1992 1993 1994 1995 1996 1997 1998 1999. FRONT FORK for Harley Davidson FLSTN Heritage Softail Special 1990 1991 1992 1993 1994 1995 1996 1997 1998 1999. FORK CLAMPS: UPPER AND LOWER for Harley Davidson FLSTN Heritage Softail Special 1990 1991 1992 1993 1994 1995 1996 1997 1998 1999. STEERING HEAD BEARINGS for Harley Davidson FLSTN Heritage Softail Special 1990 1991 1992 1993 1994 1995 1996 1997 1998 1999. SWINGARM AND BRACE for Harley Davidson FLSTN Heritage Softail Special 1990 1991 1992 1993 1994 1995 1996 1997 1998 1999. FRAME for Harley Davidson FLSTN Heritage Softail Special 1990 1991 1992 1993 1994 1995 1996 1997 1998 1999. REAR SHOCK ABSORBER for Harley Davidson FLSTN Heritage Softail Special 1990 1991 1992 1993 1994 1995 1996 1997 1998 1999. THROTTLE CONTROL for Harley Davidson FLSTN Heritage Softail Special 1990 1991 1992 1993 1994 1995 1996 1997 1998 1999. CLUTCH CONTROL for Harley Davidson FLSTN Heritage Softail Special 1990 1991 1992 1993 1994 1995 1996 1997 1998 1999. HEADLAMP ASSEMBLY AND SUPPORT BRACKET for Harley Davidson FLSTN Heritage Softail Special 1990 1991 1992 1993 1994 1995 1996 1997 1998 1999. FOOTPEG, HEEL GUARD AND MOUNT for Harley Davidson FLSTN Heritage Softail Special 1990 1991 1992 1993 1994 1995 1996 1997 1998 1999. SPROCKET COVER for Harley Davidson FLSTN Heritage Softail Special 1990 1991 1992 1993 1994 1995 1996 1997 1998 1999. BELT GUARDS. for Harley Davidson FLSTN Heritage Softail Special 1990 1991 1992 1993 1994 1995 1996 1997 1998 1999. INTAKE COVER for Harley Davidson FLSTN Heritage Softail Special 1990 1991 1992 1993 1994 1995 1996 1997 1998 1999. SIDESTAND for Harley Davidson FLSTN Heritage Softail Special 1990 1991 1992 1993 1994 1995 1996 1997 1998 1999. SEAT LOCKS for Harley Davidson FLSTN Heritage Softail Special 1990 1991 1992 1993 1994 1995 1996 1997 1998 1999. ENGINE for Harley Davidson FLSTN Heritage Softail Special 1990 1991 1992 1993 1994 1995 1996 1997 1998 1999. ENGINE REMOVAL for Harley Davidson FLSTN Heritage Softail Special 1990 1991 1992 1993 1994 1995 1996 1997 1998 1999. ENGINE INSTALLATION for Harley Davidson FLSTN Heritage Softail Special 1990 1991 1992 1993 1994 1995 1996 1997 1998 1999. CYLINDER HEAD for Harley Davidson FLSTN Heritage Softail Special 1990 1991 1992 1993 1994 1995 1996 1997 1998 1999. CYLINDER AND PISTON for Harley Davidson FLSTN Heritage Softail Special 1990 1991 1992 1993 1994 1995 1996 1997 1998 1999. LUBRICATION SYSTEM for Harley Davidson FLSTN Heritage Softail Special 1990 1991 1992 1993 1994 1995 1996 1997 1998 1999. OIL RESERVOIR AND OIL HOSE ROUTING for Harley Davidson FLSTN Heritage Softail Special 1990 1991 1992 1993 1994 1995 1996 1997 1998 1999. OIL COOLER for Harley Davidson FLSTN Heritage Softail Special 1990 1991 1992 1993 1994 1995 1996 1997 1998 1999. OIL PRESSURE INDICATOR SWITCH for Harley Davidson FLSTN Heritage Softail Special 1990 1991 1992 1993 1994 1995 1996 1997 1998 1999. CRANKCASE BREATHING SYSTEM for Harley Davidson FLSTN Heritage Softail Special 1990 1991 1992 1993 1994 1995 1996 1997 1998 1999. OILING SYSTEM for Harley Davidson FLSTN Heritage Softail Special 1990 1991 1992 1993 1994 1995 1996 1997 1998 1999. OIL PUMP for Harley Davidson FLSTN Heritage Softail Special 1990 1991 1992 1993 1994 1995 1996 1997 1998 1999. HYDRAULIC LIFTERS for Harley Davidson FLSTN Heritage Softail Special 1990 1991 1992 1993 1994 1995 1996 1997 1998 1999. GEARCASE AND CAM GEARS for Harley Davidson FLSTN Heritage Softail Special 1990 1991 1992 1993 1994 1995 1996 1997 1998 1999. CRANKCASE for Harley Davidson FLSTN Heritage Softail Special 1990 1991 1992 1993 1994 1995 1996 1997 1998 1999. AIR CLEANER ASSEMBLY for Harley Davidson FLSTN Heritage Softail Special 1990 1991 1992 1993 1994 1995 1996 1997 1998 1999. ELECTRONIC CONTROL MODULE (ECM) for Harley Davidson FLSTN Heritage Softail Special 1990 1991 1992 1993 1994 1995 1996 1997 1998 1999. THROTTLE POSITION SENSOR (TPS) for Harley Davidson FLSTN Heritage Softail Special 1990 1991 1992 1993 1994 1995 1996 1997 1998 1999. IGNITION COIL for Harley Davidson FLSTN Heritage Softail Special 1990 1991 1992 1993 1994 1995 1996 1997 1998 1999. FUEL TANK for Harley Davidson FLSTN Heritage Softail Special 1990 1991 1992 1993 1994 1995 1996 1997 1998 1999. FUEL PUMP for Harley Davidson FLSTN Heritage Softail Special 1990 1991 1992 1993 1994 1995 1996 1997 1998 1999. THROTTLE BODY for Harley Davidson FLSTN Heritage Softail Special 1990 1991 1992 1993 1994 1995 1996 1997 1998 1999. EXHAUST SYSTEM for Harley Davidson FLSTN Heritage Softail Special 1990 1991 1992 1993 1994 1995 1996 1997 1998 1999. STARTER for Harley Davidson FLSTN Heritage Softail Special 1990 1991 1992 1993 1994 1995 1996 1997 1998 1999. IGNITION SYSTEM for Harley Davidson FLSTN Heritage Softail Special 1990 1991 1992 1993 1994 1995 1996 1997 1998 1999. IGNITION/HEADLAMP KEY SWITCH for Harley Davidson FLSTN Heritage Softail Special 1990 1991 1992 1993 1994 1995 1996 1997 1998 1999. SPARK PLUG CABLES for Harley Davidson FLSTN Heritage Softail Special 1990 1991 1992 1993 1994 1995 1996 1997 1998 1999. CHARGING SYSTEM for Harley Davidson FLSTN Heritage Softail Special 1990 1991 1992 1993 1994 1995 1996 1997 1998 1999. BATTERY CABLES for Harley Davidson FLSTN Heritage Softail Special 1990 1991 1992 1993 1994 1995 1996 1997 1998 1999. VOLTAGE REGULATOR for Harley Davidson FLSTN Heritage Softail Special 1990 1991 1992 1993 1994 1995 1996 1997 1998 1999. ALTERNATOR for Harley Davidson FLSTN Heritage Softail Special 1990 1991 1992 1993 1994 1995 1996 1997 1998 1999. TURN SIGNAL FLASHER, FRONT TURN SIGNALS, REAR TURN SIGNALS for Harley Davidson FLSTN Heritage Softail Special 1990 1991 1992 1993 1994 1995 1996 1997 1998 1999. HEADLIGHT, TAIL LAMP for Harley Davidson FLSTN Heritage Softail Special 1990 1991 1992 1993 1994 1995 1996 1997 1998 1999. MAIN FUSE AND FUSES for Harley Davidson FLSTN Heritage Softail Special 1990 1991 1992 1993 1994 1995 1996 1997 1998 1999. WIRING DIAGRAMS for Harley Davidson FLSTN Heritage Softail Special 1990 1991 1992 1993 1994 1995 1996 1997 1998 1999.